CAPITOL HILL. JANUARY 27, 2015 —— The CEO of Intel Corporation, Mr. Brian Krzanich, has been challenged to “ walk the walk, not just talk the talk” by a Capitol Hill- based group dedicated to getting the 546 American companies doing business in Palestine -Israel to sign the Holy Land Principles— an 8-point set of fair employment principles. 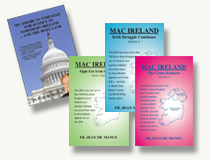 The Holy Land Principles are based on the famous Mac Bride Principles — a corporate code of conduct for American companies doing business in Northern Ireland—which were also launched by Fr. Mc Manus in 1984. 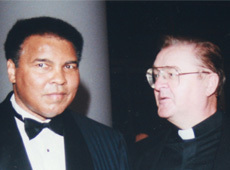 He launched the Holy Land Principles on International Human Rights Day, December 10, 2012. Intel’s operations and ability to offer fair and equal employment in Israel are further complicated by Israel’s settlements. Israel’s Arab Christians and Muslims are denied equal access to these settlements due to Jewish-only roads and Jewish-only residency requirements. Due to their strategic importance, Israel designates these settlements as Priority A Zones, and offers significant incentives to corporations to invest there. For example, direct grants are available for up to 24% of capital investment and tax benefits are available for seven years. If the investor is foreign (non-Israeli), this tax benefit will consist of a total exemption from income tax for seven years. (“In Vest in Israel” website). Approximately 10% of Israel’s workforce lives in such settlements – but not Israeli Arabs.